With a small percentage of land that is suitable for agriculture, China makes intensive use of the sea. 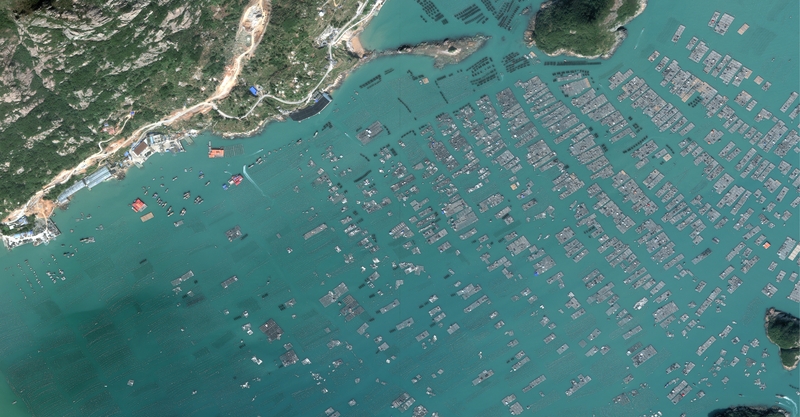 Fujian Province has had most of its wild fishery depleted, so the shallow muddy coastline has been divided up into vast tracts of aquaculture for fish, seaweed, and shellfish. 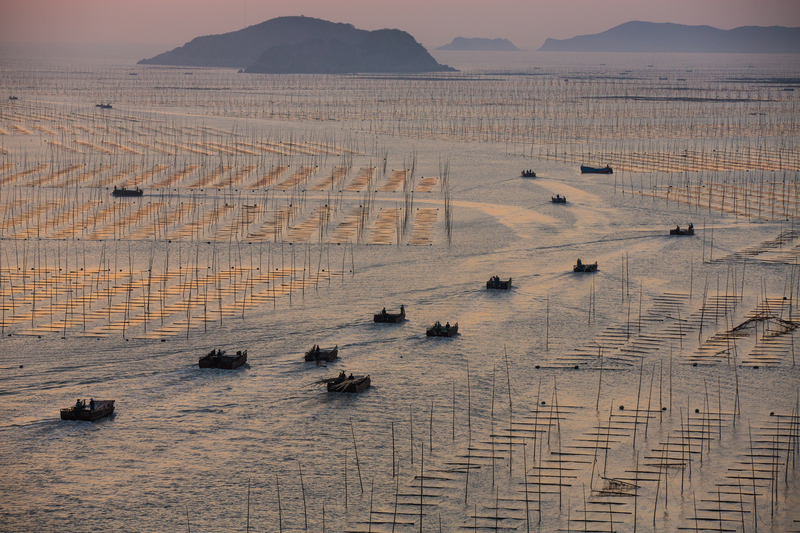 Here small boats are seeing heading out at sunrise to harvest seaweed in north end of Funing Bay, just outside of Xiapu harbor. The seaweed, called “tsai”, is eaten in soup.